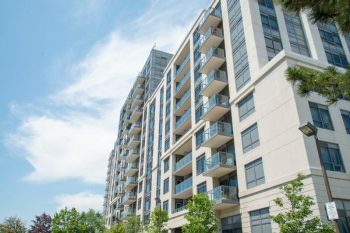 Located in the heart of one of Toronto’s most established neighbourhoods at Lawrence Avenue West and Bathurst Street, Cranbrooke Village is an example of sustainable design in Toronto. The 12 storey condominium community by Options for Homes has been committed to energy saving innovation since its inception. This project surpassed Toronto Green Standard Tier 2 and offers homeowners features that maximize health, comfort and savings.